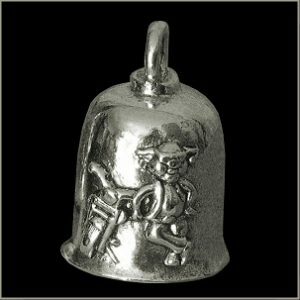 American-made Lead-free Pewter Gremlin Bell. Comes with a 24mm nickel platted split ring and a 2″x2 1/2″ velveteen drawstring black bag. 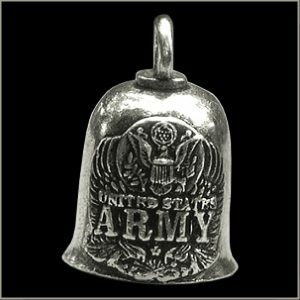 Bravo Bells are made in the USA using state of the art lead free pewter. Each Bravo Bell comes with a 24mm nickel platted split ring and a 2″x2 1/2″ velveteen drawstring black bag. The Legend: Legend has it that a small bell attached to your motorcycle, close to the ground, catches the Evil Road Spirits. The Little Gremlins live on your motorcycle causing all kinds of mechanical problems. 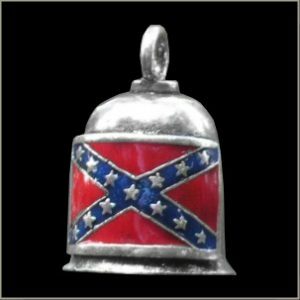 The cavity of the bell attracts these Evil Spirits, but the constant ringing drives them insane and they lose their grip and fall to the ground. ( Ever wondered where all those pot holes come from?) Comes with a story card, key ring and zip tie to connect it to your bike. 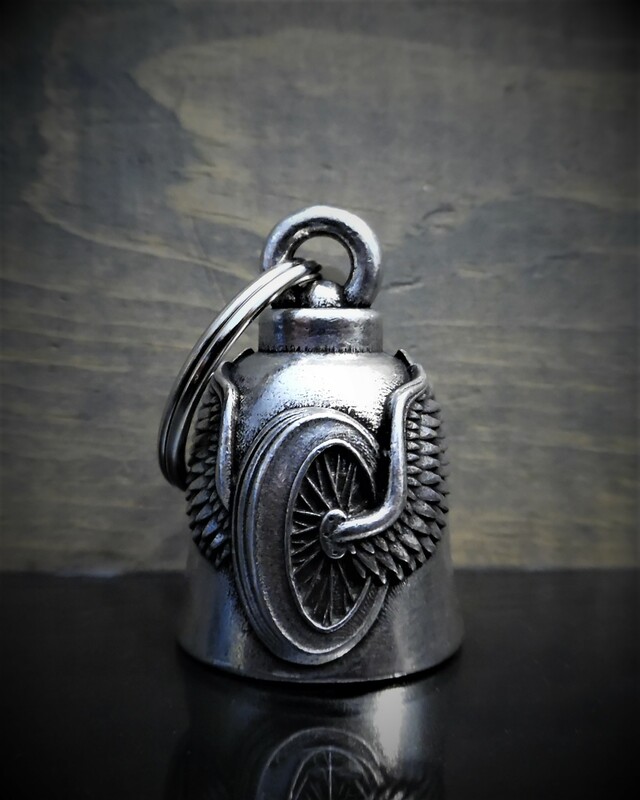 Copyright © 2010-2019 Brass Pole Motorcycle Accessories. All Rights Reserved.